"Interview: "Our project proves that an instrument of ' 200-year-old can be very topical." "
""Basically, it's pleasant jazz for at home""
"With the almost mathematical precision written and performed compositions are interspersed with slower, often romantic or dreamy pieces." "The end result is a perfect album." "It's the achievement of the whole ensemble that this album is so appealing." "not a short story short but a long story short. Listen for yourself!" "Just a real lively and exciting album that allows all kinds of lovliness to shine brightly." "On a 'Long story short' Rembrandt Frerichs shows again what his ambitions sound like: a brilliant series of short stories that together makes a great panoramic view of shapes. "A unique album with a lot of own work by Rembrandt, where jazz, eastern and eestern classical music complement each other perfectly. The CD is characterized by other specific artistic decisions, such as the use of Bach corals and the use of both an original mini harmonium (1850) as an Indian harmonium. Guaranteed listening adventure for any music lover." ""When one says, "To make a long story short," he wants a long story short cut to the essentials. Rembrandt Frerichs' CD "A Long Story Short" however, raises epic feelings. From the first, powerful sounds of the eagerly-Nordic melodies to the oriental-style anthems you can not stop listening with the best intentions. A pianist with a fine-sounding name that you should remember!"" ""Frerichs is an ingenious composer who expands his jazz borders by drawing from classical music and music from the middle and far east."" 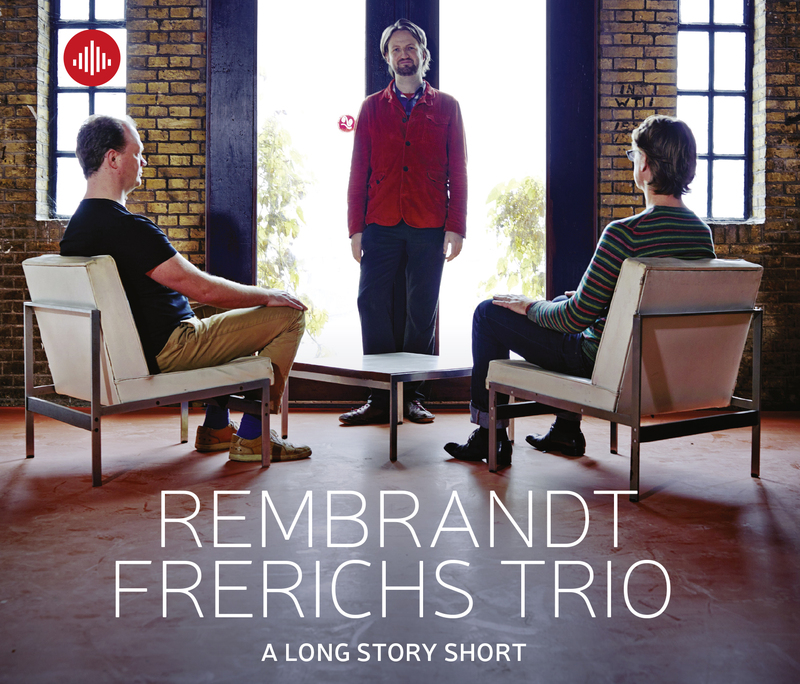 "A Long Story Short is the second album by this trio, containing 12 new pieces by Frerichs, in which jazz, Eastern and Western classical music complement each other perfectly."